On June 12th Saint Stephen’s Church in Middlebury, Vermont will host a Thursday noonday concert. Middlebury Community Music Center faculty members and Saint Stephen’s Church parishioners Emily Sunderman (violin) and Cynthia Huard (piano) will perform Brahms’ Sonata in d minor. This is a major work, dramatic and powerful. Organist George Matthews will play two short bright and cheerful works: The Fantasia on Swedish Themes by Emil Sjogren and one or more of Dvorak’s organ preludes. 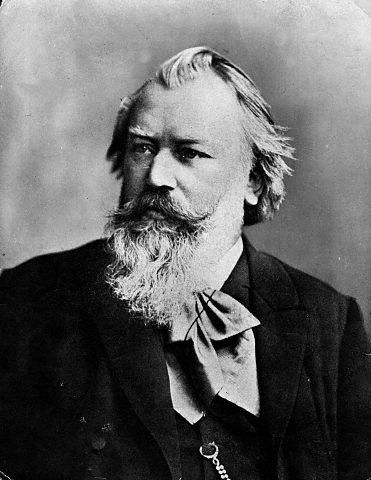 The Brahms (1883-1897) D-Minor Sonata is beloved by many as it expresses the conflict many of us have of possessing great un-charted emotional depth hidden behind our natural reserve. It is a beautifully crafted work. In addition to being technically quite difficult it requires the players attempt to be extroverted, passionate and symphonic in expressing these depths. Brahms composed the work either on The Wörthersee (max depth 280′) in Austria or on Lake Thun (max. depth 446′) in Switzerland in 1888 (either lake town might claim the distinction and both certainly seem worth a visit). When it was first published it was published as a Sonata for Violin and Piano. A year after the initial printing, it was published under the title “Sonata for pianoforte and violin”, not the other way round, in this way Brahms wished to indicate the fact that both instruments are treated on equal terms. Elisabet von Herzogenberg to Brahms. [Nice, November 6, 1888.] My dear Friend, — I am quite touched by the arrival just now of the dear old G major sonata.| It is surely a sign that you are not angry with me, after all. My very best thanks. I know the D minor sonata by heart now, to my great joy. It is an indescribable pleasure to absorb it into one’s self and then play it quite out of one’s head. Amanda Rontgen and I kept on smiling at each other when we found we knew even the last movement to-day. But the development gives us considerable trouble, and I do beg you will look at those syncopations again, and see if you could not alter them a little ; I mean from B flat minor onward, and particularly the bars where the bass has the theme in C sharp minor.t It is more comprehensible in the big crescendo afterwards, where the swing and breadth of movement are a help. But the C sharp minor part is complicated by the unfavorable position of some of the important notes of the harmony given to the fiddle. It is really quite a blot on the movement, which is so glorious and so effective as a whole. Then, again, one has to struggle and pant to keep in, because there is so often nothing to mark the strong beats in those bars. It would be just the same, I believe, no matter how good the violinist, and it is such a pity to let that one place spoil the effect, when the rest of the movement sounds so well. It is one of those episodes that only musicians will understand, and that is not desirable, is it? I have one other proposal : that you should make the chords in the Scherzo pizzicato. It sounds as well played arco that the part becomes abstract too.